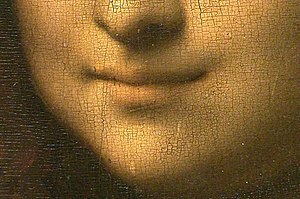 Mona Lisa detail mouth (Photo credit: Wikipedia) Apparently it’s the smile that is hauntingly beautiful. I was reading the local paper and chanced upon an article that upset my inner peace. It was an intelligent man’s diatribe on how dumb and annoying the common John and Jane, he prefers the term ‘mouth breathing morons’, inevitably are to the cultured. It was an eye opener, I always thought of myself as reasonably intelligent and cultured, apparently I am not for I do not share his views and he is the spokesperson for that elite group. What is their heinous crime that offends him so? Their inability of ever being able to produce ‘an original or interesting thought’, if you were expecting something more criminal like murder then we think alike. A mental note to steer clear from him during my writer’s block days or when I haven’t had much sleep from nursing an ill child, the ‘stupid’ crimes I would commit on those days would probably have him call for the guillotine. 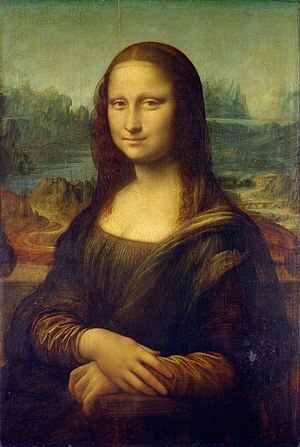 His ultimate peeve is when these people bypass great works of art in their single-minded focus towards celebrated classics like the Mona Lisa, which according to him isn’t the best. An act worsened by the fact that these ‘mindless idiots’ then resort to taking pictures of this work of art, why should you when you get better resolution pictures form the internet? Here I was thinking that capturing an image from my camera would somehow create a personal connection with a thing of beauty that is a joy forever, sorry John Keats I must have misinterpreted your poem. He has great contempt for people taking hilarious (not to him) pictures where they pose as if their support is the only reason the monument doesn’t come crashing down. The lack of humour is because it has been done way too many times before; apparently it has to be an original idea to be hilarious. Have to remember to trash that ‘been there done that photo album’, I can recall a multitude of original idea violations. I must be very simple-minded, like the Johns and Janes for thinking that if something annoys you, look away. If I were standing in the Louvre appreciating a masterpiece it would not heighten or lessen the pleasure I get from a great work of art if others did or didn’t share my sense of appreciation. In fact it makes me dangerously suspicious that this suave man might be guilty of his greatest irk, not truly experiencing all that life has to offer and instead being focused on what the rest of the ‘sheep people ‘ are doing, albeit in a different context. I had read somewhere that if we were to make a list of all the attributes that truly irritated us, we would invariably end up with a very accurate description of ourselves, at least of how we are perceived by others. This extremely intelligent but highly irritated man is obviously guilty of being preoccupied with stupid acts, the banal are guilty of these acts while he obsesses about them, two sides of the same coin. Previous Toning your body versus losing body weight- You decide. Next Being a good human isn’t enough anymore, to be good you have to be perfect.